In this article, Keith shares some simple healing methods which you can use in your every day life. The beauty of all these approaches is that they are free. Integrate some or all of them into your day so that they become normal to you. Perhaps you already nurture your health with some of these approaches. If so, stop and give yourself credit for all you do to look after your health. Much of this website is for those living with Chronic Fatigue Syndrome. The healing advice outlined in this article is not specific to any particular chronic illness but can be helpful to anyone, including those of you who live in excellent health. 1. Learn to meet your feelings with compassion and self love. 2. Focus on your breath in the present moment. 3. Learn to meet negative thoughts with compassion and self love. 4. See your body filled with healing light. 5. 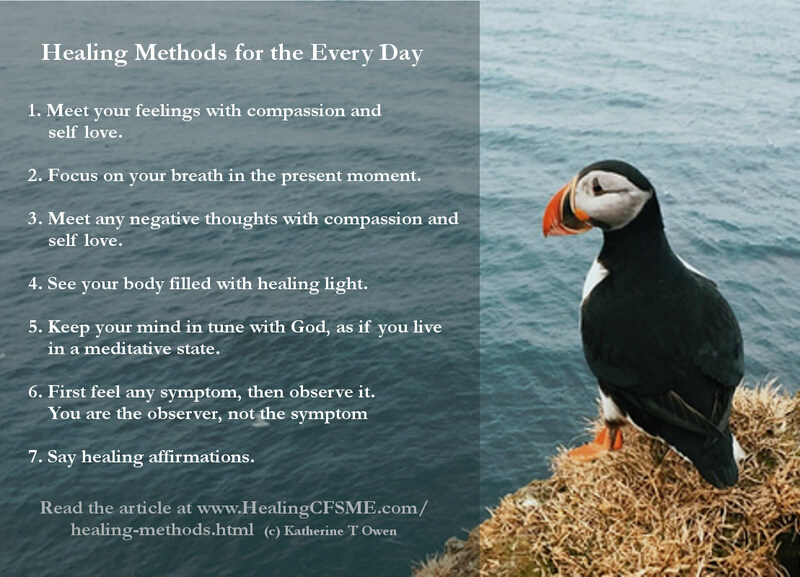 Keep your mind in tune with God, as if you live in a meditative state. The following healing methods from Keith are discussed in more detail below. Keith shares about applying these healing methods to his own journey - healing from allergy and healing a liver problem. 6. First feel any symptom, then observe it. 8. 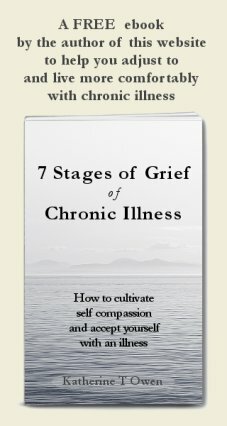 Ask yourself: Does the illness serve a purpose? When you suffer physically, don't label it... feel it, accept it. Silent observation of the symptom swings your perspective from being the sufferer to being the observer of the suffering. This removes you from the role of victim. I find this alone can help alleviate suffering. This cannot be happening. I know that the pain I feel is only what I think I deserve. Sickness is a defense against the truth. I am not a body. I am mind. Minds cannot attack, and therefore I cannot be feeling as I am. In reality there is only error in the cause, my mind, creating effect on the mind’s creation, my body. Apply healing methods 1 through 7 as often as possible throughout the day, although not when operating dangerous machinery, ha ha! Ask yourself: Does the illness serve a purpose? This takes honesty. Here are some examples of healing from my own life [Keith's life]. I asked why I had a severe allergy to horses, one where my face would inflate! That simple remembrance allowed truth to shine away the allergy. I now have no need for it. My liver failed and almost killed me. I had some serious soul searching to do over the following few months. I had to ask myself how the experience served me. If you ask honestly you will know the answer. My answer was uncomfortable to admit to myself. I was using the disease which led to my liver failure in order to make myself lovable, even if it was through pity. My first thought was 'How pathetic!' My second was 'How true!'. A few weeks later my liver had recovered to absolutely normal function. I have a letter from my specialist to my GP in which he admits that the liver was healed but is unable to explain how. It was a real turning point for me. I now understood and was experiencing the beautiful realities of inner and outer reality! Read Keith's story of healing from tinnitus. A physicist comments on quantum healing. 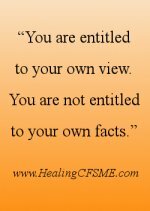 Read a Healing Mediation Script for expanding beyond your concept of the body. Keith used this in his journey of healing tinnitus. Read about Alternative Healing Methods and what they have to offer in addition to conventional medicine.